KIDZ BOP 33, the latest album from the #1 kids’ music group, featuring songs from Calvin Harris, Sia and Twenty-One Pilots has been released. 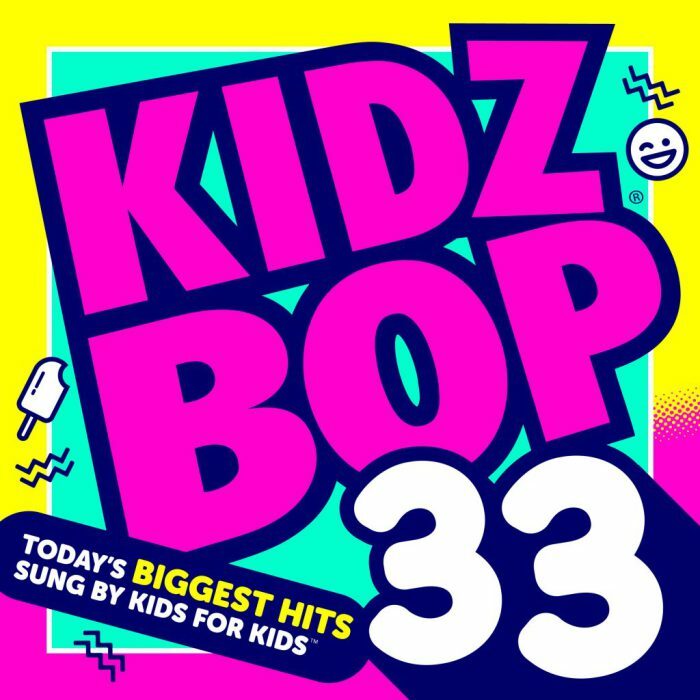 It comes during KIDZ BOP’s 15th anniversary and will continue a track record that includes more than 17 million albums sold, 23 Top 10 Albums on the Billboard 200 Chart and more albums sold last year than Nick Jonas, Katy Perri, Demi Lovato, Wiz Khalifa, Jason Derulo, and Rihanna combined. We are a Kidz Bop family, ever since my daughter was younger we started getting the Kidz Bop CDs for her. They fill her CD player in her room as well the consoles in our cars. This CD did not disappoint and had some of her favorites like "Can't Stop the Feeling" and "Lost Boy". I was downloading music from iTunes one night for my daughter and did not realize that some of the songs we hear on the radios have explicit lyrics on the "real" versions. I was in shock! I love that when I get her Kidz Bop CDs and songs that I know everything with going to be family friendly lyrics and the top hits from today!